Work in University Corner was disrupted on Tuesday afternoon when a fire broke out in the lifts on the 13th floor, and Wits Vuvuzela has since discovered that no fire drills have been held in the building since at least 2010. Brigitte Reid, fire marshal for the 11th floor, said that since Journalism & Media Studies moved there in 2010, there had been no fire drills and no official training. “I don’t even know where we are supposed to congregate in the event of a fire.” During the fire, there was some confusion about where the fire was and whether occupants should evacuate. Zandi Bekwa, an intern with Drama for Life on the 17th floor, said they contacted Emergency Services when they heard the alarm, but were advised to stay put. However, when they saw a great deal of smoke coming from the lift, they decided to leave. She said no officials came up to tell them about the fire. 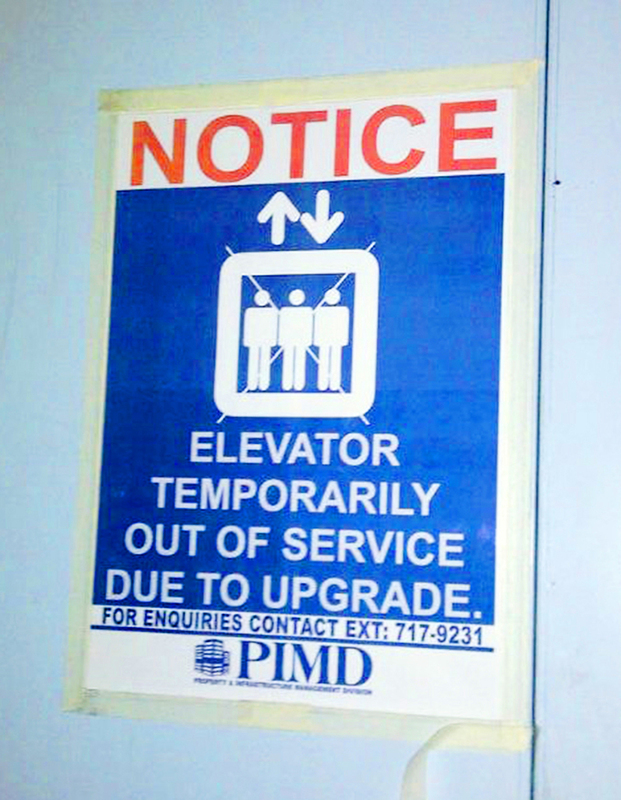 The lifts in University Corner have been the subject of complaints for some time. During the July vac, a start was made on replacing them. On Wednesday afternoon, Deputy Vice Chancellor Prof Tawana Kupe, sent an e-mail to the Wits community, apologising for the poor functionality of the lifts. He said he would “make every effort to ensure that all the lifts remain in service, that they are operational, and that the safety of users is prioritised at all times”. Some of the University Corner community, however, has become disheartened and felt this focus on safety has come a little late. Michael Smurthwaite, VoW fm station manager, said he had also lodged complaints with PIMD (Property And Infrastructure Management Division) about the lifts prior to the fire. The first concerned lift buttons that were not working and the second a lift “jumping between ninth and tenth floor”. Another occupant, who asked not to be named, complained about the lift doors’ failure to open again if they started to close when someone was entering or leaving. Carlo Mombelli, famous South African bassist and Wits music teacher, said he was not surprised there had been a fire in the lifts. He said he had complained about them in the past and nothing had been done. “I used to come here in like 1987 and I used to play up on the eighth floor and they had the same lifts,” he said.